s is the case with all great literature, a host of readers of Tolkien's fantasy series, The Lord of the Rings, have been enchanted by the many delightful characters and the magic that is Middle-Earth. This magic of Middle-Earth involves a tale that ranges from emotional highs to the deepest depressions--the joy and peace found in the House of Tom Bombadil, where Frodo is able, for the moment, to lay aside the Quest, and the darkest moments at the Tower of Cirith Ungol, where Master Samwise must make his choices. Pervading the entire story is an epic sense of the human struggle between good and evil. n Sauron, we have a depiction of a foe that is both diabolical and demonic by his very nature. On the other hand, in Gandalf the White, we see the vision of an angelic force sent to inspire the hearts of men to resist the evil power of Sauron. It is this epic struggle between good and evil that has enchanted a generation of readers who have demonstrated their love of Tolkien's works by reading the novels over and over again. For, as those of us who have read the novels many times know, the attraction of Middle-Earth and its characters is the new realizations that we as readers and fellow humans locked in struggle against our own forces of evil draw from the victory of Gondor out of the very Shadow of defeat. hus, one might say that if their is hope for Middle-Earth there is certainly hope for us in our own dark times. Presented on this page is my meager effort at drawing tribute to the great work of J. R. R. Tolkien. I hope you enjoy it as much as I enjoyed researching the sites and preparing the page. 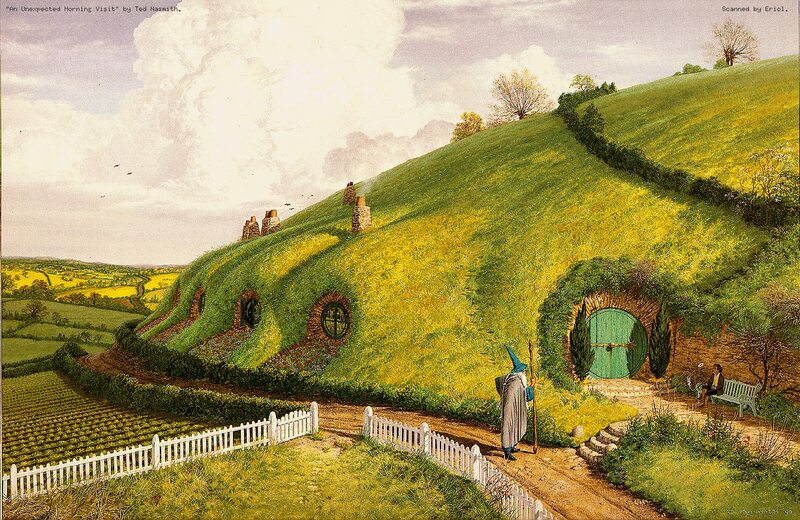 And, if you need a Tolkien book, check out my on-line bookstore with Amazon.com. have included a couple of links to well-crafted, informative Tolkien sites that I have found in my attempts at researching the web for such resources. I hope you enjoy them as much as I have. ossibly the most interesting character in Tolkien's works is the wizard Gandalf. My interest in Gandalf started many years ago when I read The Hobbit for the first time. I found the mysteriousness that Tolkien used in his descriptions of the old wizard quite enchanting. Indeed, even before I read The Lord of the Rings, I realized that there was more to Gandalf than just the perenial wizard found in almost all fantasy novels. This interest lead me to write a paper for a Tolkien class on Gandalf. If you would like to read my scholarly tome on the wizard just click on its title below. 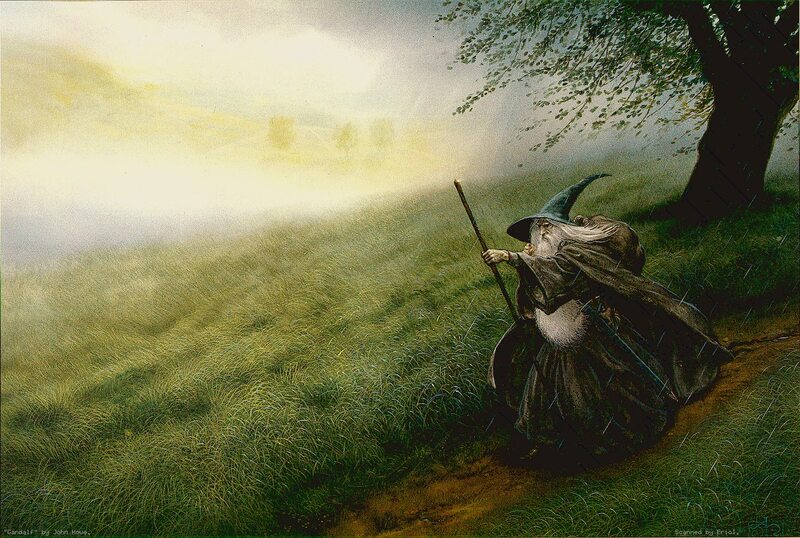 have also included one of my favorite paintings depicting Gandalf for you to view. Just click on the links to see them! This Page was Last Updated on April 13, 2006.